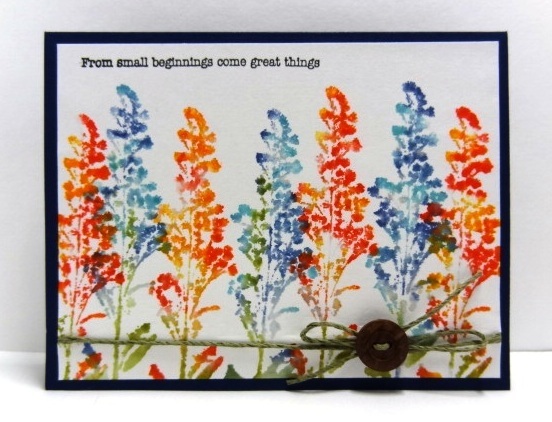 Thanks for a great challenge last week, your Polka Dotted cards were so fun! I have great news today about the K 'n K Designs Fundraiser for OWH that ended yesterday. Katlyn at K 'n K Designs along with Dee Dee Anderson raised enough money through the sale of their digital stamp sets to send 36 large Priority Mail boxes to our heroes! How cool is that?!!! I'd like to thank everyone who purchased these fun digital stamp sets and all the wonderful card makers who made sample cards to show off these great images too! Our sample card maker this week is Bev! Bev isn’t a blogger so you need to leave her lots of love right here in our comments . Thank you Bev for sharing your awesome creativity with us! Jan...Fun challenge! Bev...Great samples! That fish card is pretty darn cool! TFS!!! Great idea for a challenge. Bev, I love your beautiful samples! And the fund raiser results are wonderful! What a fun challenge, Jan! And great samples, Bev. What a cute top and it makes for a fun challenge! Thank you Bev for being our sample card maker, I love your cards! 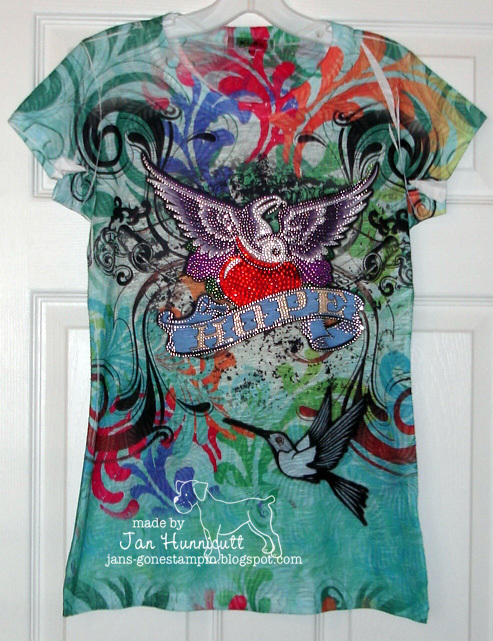 Beautiful samples from the inspirational shirt Bev! I love the sea scene card! Great cards, Bev. thank you for giving us more inspiration this week. YEAH KnK. Wonderful job. Everyone wins, we got adorable images and the deployed personnel are getting more cards with the shipping cost covered. Beautiful cards and inspiration. I especially like the floral card. Glad the fundraiser went well. What a fun and interseting challenge Jan! 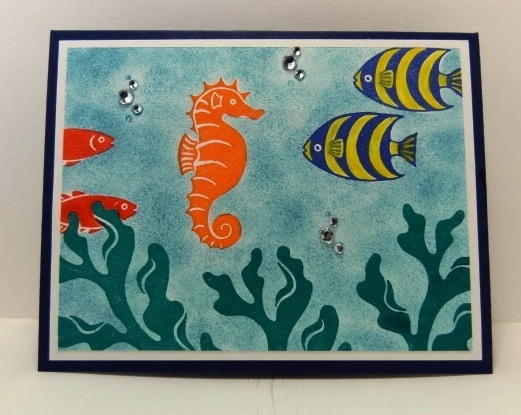 Great sample cards too Bev... Love how the fish mimic the whole feel of the shirt. Can't wait to try this challenge!